Apple officially announced the most awaited iPhone 6 a couple of minutes ago. The iPhone 6 is available in two large screen sizes 4.7 and 5.5 inch screens. 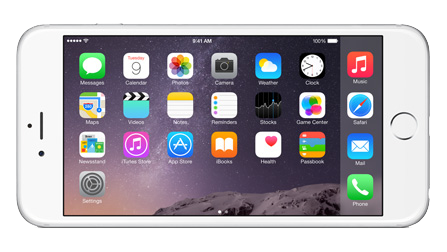 It also features iOS 8 with health apps and adapts a new landscape mode of the home screen.